Marketo is a powerful marketing automation tool that helps marketers with digital marketing techniques to drive measurable results. Features include: email marketing and marketing analytics. Drive engagement with this solid marketing automation platform.. Below you'll find detailed information, specifically for Marketo integrations. Make sure your Marketo account has Admin rights. More information about Marketo roles and permissions can be found here. To authorize your Marketo account, we need your Client ID, Client Secret. These can be found by selecting the Custom Service (shown below). Each integration should use a separate Custom Service. The steps on how to complete this can be found here. To finalize, enter your Identity URL Subdomain. If you already authorized Marketo accounts in the past or in any other PieSync integration, you'll be able to skip this step and choose from your CONNECTED ACCOUNTS. 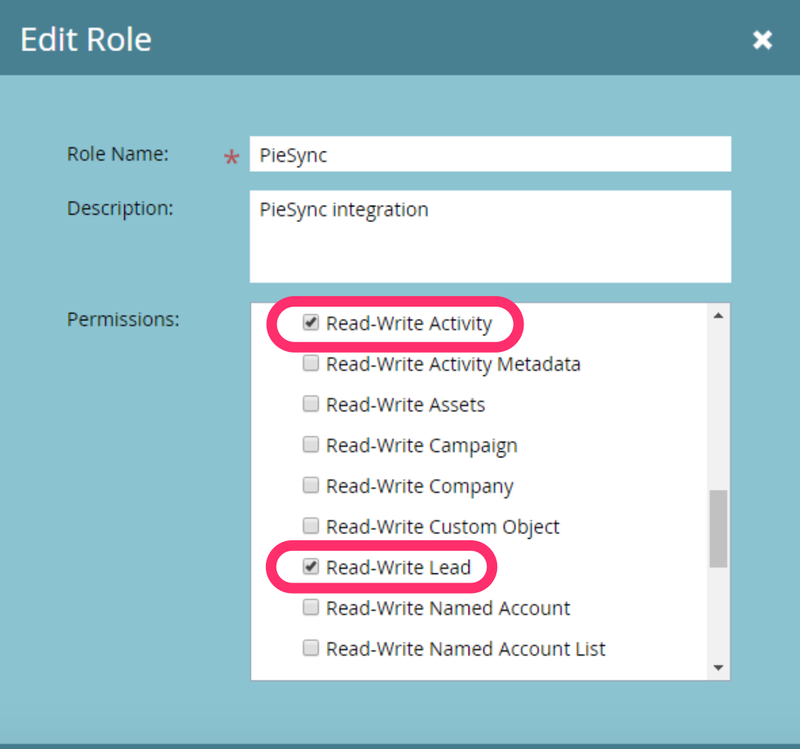 You can sync one LIST per connection - PieSync needs you to authorize each Marketo LIST separately. You can custom map your Marketo Custom Fields and any additional standard fields that aren't included in the default mapping yet. Bear in mind a mapping between two fields can only exist if the types of fields are compatible, and the particular compatibility will determine the direction of the mapping as well. More information on Customizable Field Mapping here. Syncing Unsubscribes and Deletions are not supported for Marketo integrations. The availability to sync Unsubscribes and Deletions is app and connection dependent. If the feature box is not there to tick, it's simply not possible. We need to be able to detect deletions on one side and at the same time be able to create add a segment 'PieSync Trash' or 'PieSync Unsubscribes' on the other side. More Information on Syncing Unsubscribes here or on Deletions here. Hit the "start syncing now" button once you have finalized your configuration. PieSync will first scan all your contacts in both applications, even if you only choose to sync a subset. This initial scan is necessary to avoid duplicates. After this scan, the synchronization will start! If you have a lot of contacts, this can take a bit longer. Have a look at the PieSync dashboard for an overview of your syncing activity. Is your connection active but not showing activity feed, have a look at your troubleshooting to make sure everything is correctly set up. Reach out to support@piesync.com in case you have further questions.